By posting this recipe I am entering a recipe contest sponsored by the Wild Blueberry Association of North America and am eligible to win prizes associated with the contest. I was not compensated for my time. I’m lovin’ me some wild blueberries this week. I’ve always been a fan, but since the Wild Blueberry Association of North America (WBANA) sponsored this month’s Recipe ReDux, I have been putting my creative cap on to think of new and different recipes that feature wild blueberries. 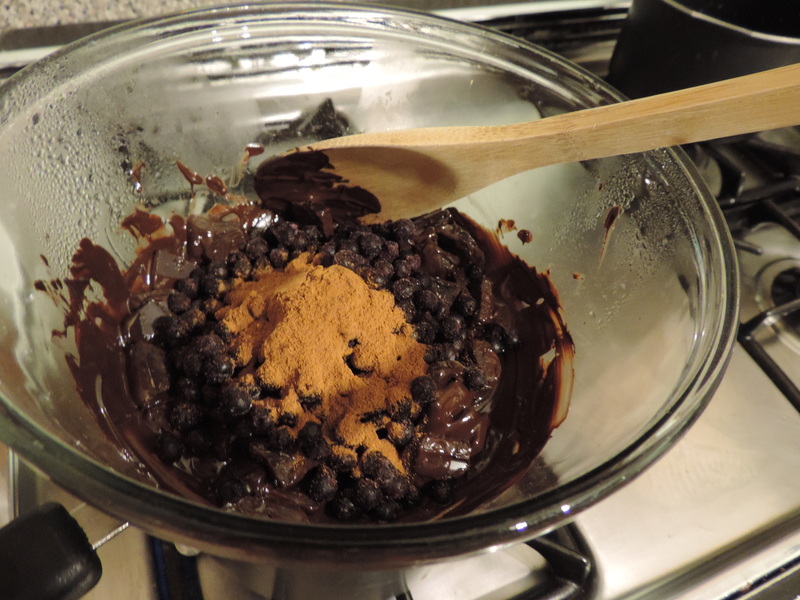 Dark chocolate, cinnamon and wild blueberries seemed like a great fit. As a general rule, I eat one or all of these things on a given day, so I figured it was only right to put them all together for the ultimate truffle. I’m practically giddy over the antioxidants in these truffles. Wild blueberries are packed with more than twice the amount of antioxidants compared with regular blueberries. They’re rich in anthocyanins — the antioxidant compound that gives that the intense, deep purple color. Plus you’re getting flavonoids from the dark chocolate and even more antioxidants from the cinnamon. And the bonus? 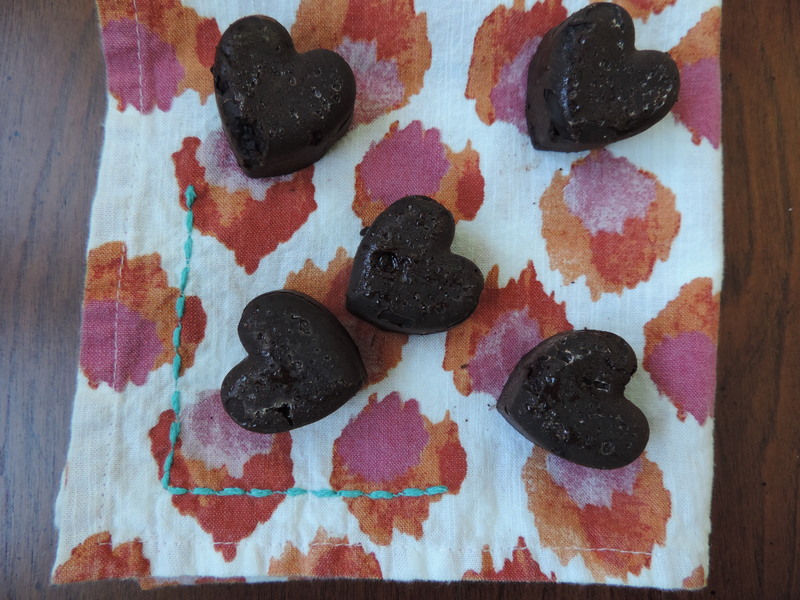 These truffles come in right around 100 calories! If you’ve never tried wild blueberries, you better get on it. They can be found in the freezer section of many grocery stores (I usually buy them from my man Trader Joe). For the full list of where to buy wild blueberries, check here. If you’re unsure about the cinnamon, you can omit. 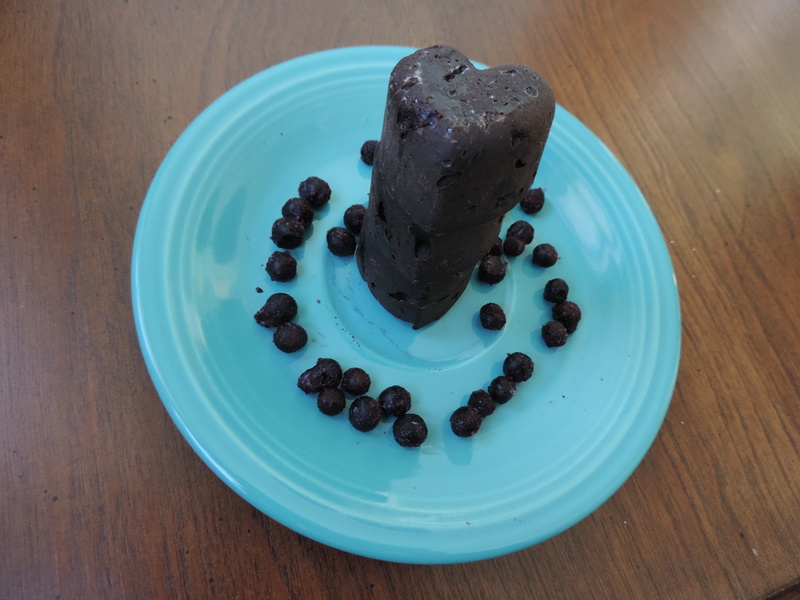 If you have a silicone candy mold, it works best for this, but you can also make it into delicious bark (see link below). These truffles make a great gift or stash them in the freezer for those times when you just need some chocolate. Fill the bottom of a double boiler* with about two inches of water and bring to a boil. 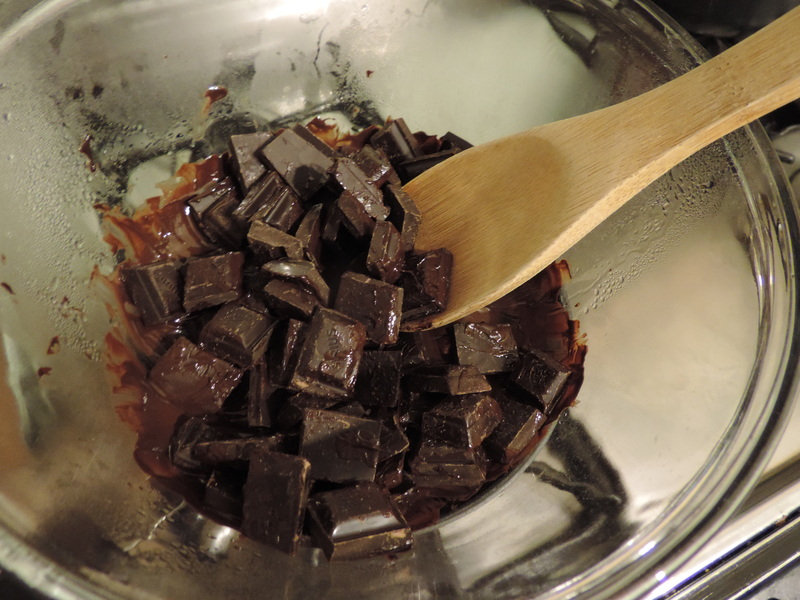 In top of double boiler, add dark chocolate and cook, stirring constantly, until chocolate is melted. Add thawed wild blueberries, cinnamon (if using) and honey. Stir until well combined. If using candy mold, sprinkle a few granules of sea salt into bottom of each mold. Pour truffle mixture into silicone candy mold (or make it into bark, and sprinkle with sea salt once you’ve spread it out on a sheet pan). Place in freezer until hardened. Remove truffles from mold and enjoy! *I am a deprived cook and don’t have a double boiler. As you can see above, I used a small saucepan (filled with about two inches of water) and brought it to a boil. Then I placed a medium-sized glass bowl over it. Voila! Makeshift double boiler. You should try it. 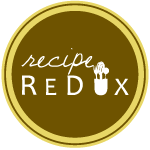 For more delicious wild blueberry recipes from the very talented Recipe ReDux bunch, click on the little blue guy/link below. Oh my yum – these wouldn’t last long in my house! Ha — yeah we ate them within a couple days! holy moses, those sounds delicious. I do like blueberries and chocolate together, this sounds so good to me! Ha yes it’s one of those might-be-weird combinations that tastes delicious.